On a 10-acre plot of land minutes from Lewisville Park in Battle Ground, Roger and Donna Rezabek have been hard at work planting grape vines since the spring of 2010. This Labor Day weekend, wine lovers will have their first sneak peek at Rezabek Vineyards and be able to taste their wine label, Daybreak Cellars, while looking out onto rows of sauvignon blanc, pinot noir and chardonnay. There’s still work to be done on the indoor tasting room but an inviting outdoor tent will be set up to welcome folks along the SW Washington Wine Country Food & Wine Pairing Weekend route. 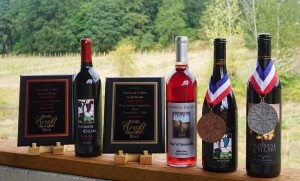 Available wines to taste include four award-winners—Daybreak Cellars 2014 Rose´ of Tempranillo which won a gold medal at the 2015 Craft Winefest held in Vancouver, Washington in June; their red blend Solstice which earned a bronze; the 2012 Tempranillo which was recently awarded a silver medal at the Northwest Wine Summit Competition held at Timberline Lodge in May; and their bronze medal-winning 2012 Pinot Noir. Roger is lending his pioneering spirit to the Clark County wine scene in a couple notable ways. He intends to add to his south-facing vineyard site grüner veltliner— a rarely-seen Washington grape that thrives in the alpine climate of Austria and is proving successful at higher elevations along the Washington Gorge; and his one third acre planted in pinot meunier (pee-no moon-yay) is a telltale sign that Roger has all the makings for estate-grown sparkling wine. Fans of the bubble will have to wait until the spring of 2017 at least to see if his theory that “our climate is very similar to the Champagne district of France” holds true. For now, a 2013 Chardonnay sourced from White Salmon Vineyard, a Willamette Valley 2009 Pinot Noir, a 2009 Cabernet Franc/Merlot blend from the heat-loving Rogue Valley and Northwest Gold—a riesling/pinot gris blend—round out the eight wines available for tasting on Saturday, September 5th and Sunday, September 6th from noon–5 p.m.
Next spring Roger is also hoping to offer a port-style wine made predominantly from tempranillo. This fortified wine is long-lived and can age for many years though, once opened, is best consumed within 2-4 weeks if properly corked and refrigerated. 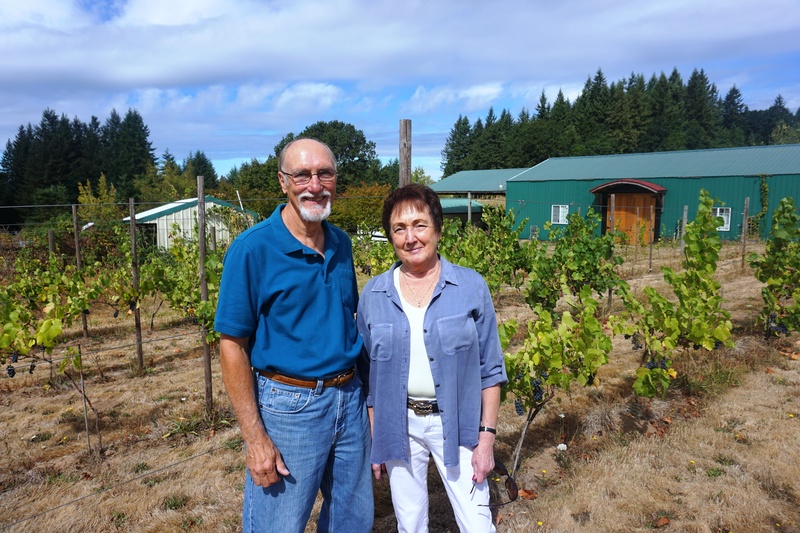 Donna, who spent the last 30+ years in various aspects of real estate, views the Clark County wine scene as a lifelong resident. “I think it’s exciting. 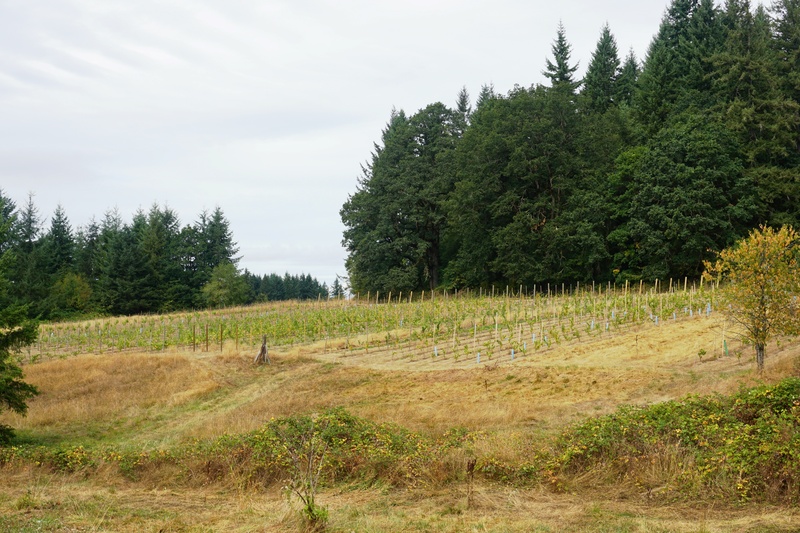 What used to be orchards—prune orchards, the pear orchards— are turning into vineyards and that’s a change in the agriculture. That’s exciting to see. Roger has a passion for the wine (and) the grapes. I have a passion for learning something new. I wouldn’t want to be retired without an adventure to replace that style of work,” Donna said. 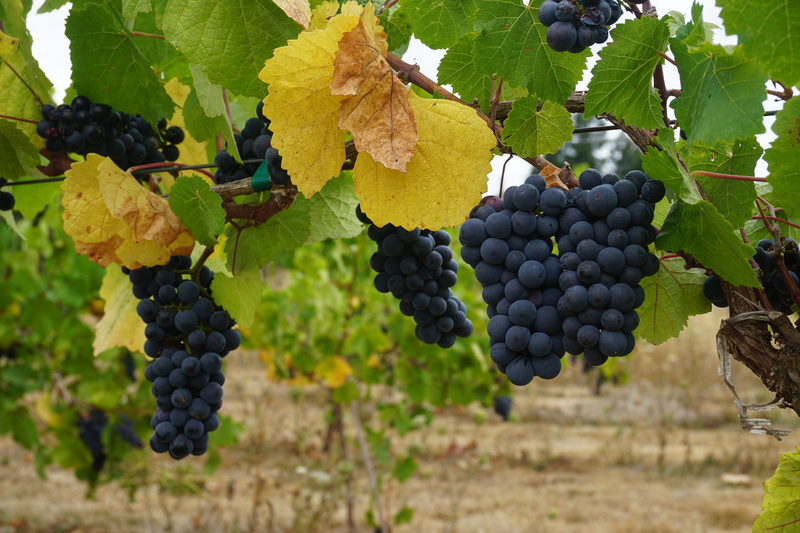 Rezabek Vineyards will also introduce their Wine Club over Labor Day weekend and their Willamette Valley 2009 Pinot Noir will be discounted 25 percent. 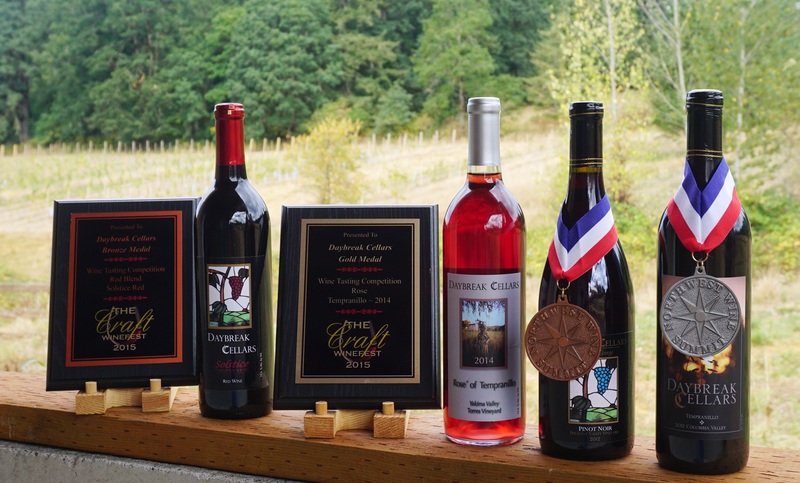 Other upcoming opportunities to taste Daybreak Cellars lineup is at the North County Wine Run held on Saturday, September 12th and over Thanksgiving weekend in the Pump House at English Estate Winery. Rezabek Vineyards also welcomes tastings by appointment with a full opening projected in the spring of 2016. 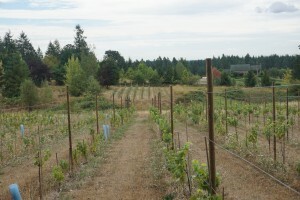 Rezabek Vineyards is located at 11700 NE 279th St., Battle Ground. For more information, go to www.rezabekvineyards.com.